This post is part of Amy Johnson Crow's 52 Ancestors in 52 Weeks for 2018. The prompt for the week of March 12, 2018, is Lucky. I racked my brain for something to write about for this prompt. I searched through my family tree. I looked up a few more ancestors, but I just couldn't come up with anything. Then my luck changed! When I began cleaning up the paper explosion in my dad’s office after he died in 2006, I filed as many of his papers as I had cabinet space for, with a focus on our family history; his research for the articles and newsletters he wrote; and his stories, poems, short stories, and plays. There are still several boxes left of papers that need to be dealt with … one day. My cousin, Gretchen Keith, contacted me yesterday and asked if my dad had written anything about her second great grandfather, Judge Richard Augustus Peeples. Gretchen and I share Philip Coleman Pendleton and Catharine Tebeau as second great grandparents. Their son, Charles Rittenhouse Pendleton, married Judge Peeples’ daughter Sally. Charles and Sally are Gretchen's great grandparents. I was typing a reply to Gretchen this morning when I suddenly remembered the file I’d started for my dad’s “Way Back When” articles. I had simply put the papers in the folder to read “one day.” Well, as luck would have it, because of Gretchen’s inquiry, I finally poked through this file. 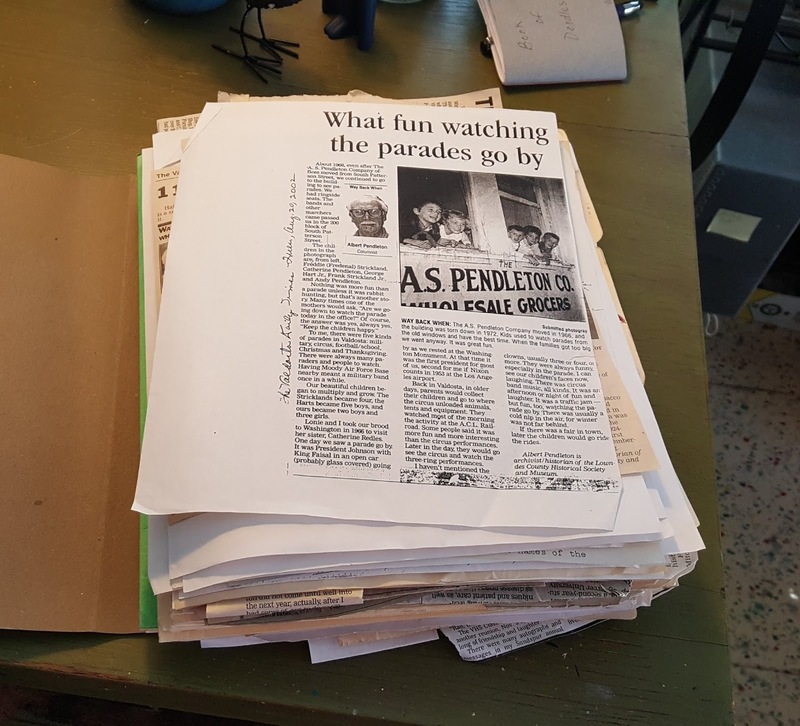 The file folder for my dad's "Way Back When" articles. I'm sure this is just the tip of the iceberg! What fun I had going through the folder, reading the article titles (and even reading a few articles)! While I didn’t come across anything about Judge Peeples, I did find a write-up that my dad wrote in 1996 about Judge Peeples' daughter-in-law, Maude Jenkins Peeples. (Maude was the wife of Richard Alexander Peeples). 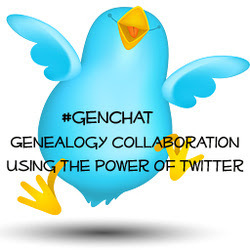 I was happy to have an opportunity to do a little genealogy research today, and in the meantime, have a topic drop in my lap for this week's prompt. How lucky!